I’m looking for a recommendation for a local interior designer who could help us with a master bedroom redesign and design of a shared bedroom for our daughters. She has a design in a day service which keeps costs low on room based projects.) She gave us great advice for our house project recently. I can highly recommend Alex Keith at Otta Design, she has a great eye and is charming and easy to work with. Her results are fantastic too. Thank you so much for your recommendation LovelyShoes. I'm so pleased you're so happy with your lounge and daughter's bedroom! 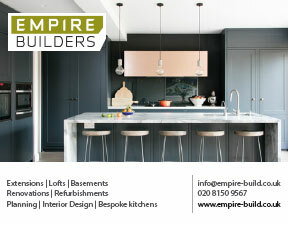 AltenburgMum, I am a local interior designer based in Battersea and would love to help you with your project. It is exactly the kind of service I provide for clients. 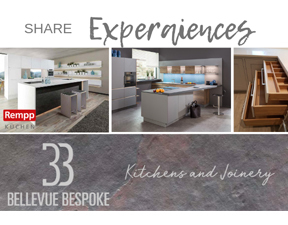 I offer a free initial consultation, so please do get in contact if you'd like me to pop round to discuss your project and show you some of my previous projects in detail, or just chat on the phone. My office number is 020 7738 0637 and my email is emma@emmagreendesign.com. My website is http://www.emmagreendesign.com/, which shows some of my projects, testimonials from clients and trade press. I am also a Full Member of the British Institute of Interior Design. Hi AltenburgMum - we’ve done two kitchen projects with Natalie at http://www.nataliebournedesign.com/ and have been very happy with the outcome both times. Good luck! Great thank you all for the suggestions. They did the concept design, project management and sourcing for all of our house, and were a pleasure to work with. We were very happy with the end result. They are based in SW London. I second the recommendation for Emma Green. Worked with her recently on my loft and other renovations - will/would use her again. I'm an interior designer based in Balham. Have a look at my website especially the Portfolio section. You can also listen to an interview I did recently with the podcast Style Matters produced by Little Yellow Couch on the link below. If you would like to have a chat give me a call on 07960 934427. I have been using Ali Johnson and Alex Keith at Otta Design for the last five months for our house outside of London and I am so pleased with the results. Ali and Alex adapt to different interior design styles based on what the client wants to achieve and with me they took time to understand what I wanted and have been wonderful to work with throughout the process. I accompanied Ali and Alex on various sourcing trips as I wanted to be involved and they have such an amazing eye for what works. I was never pushed into something I didn’t want or like and they couldn’t have been more professional and helpful. I really couldn’t recommend Otta design more highly. Thank you Art1234 for also recommending me on Nappy Valley Net. That means so much and I'm so glad that you are pleased with the interior design work I did for you on your recent loft conversion and home refurbishment.